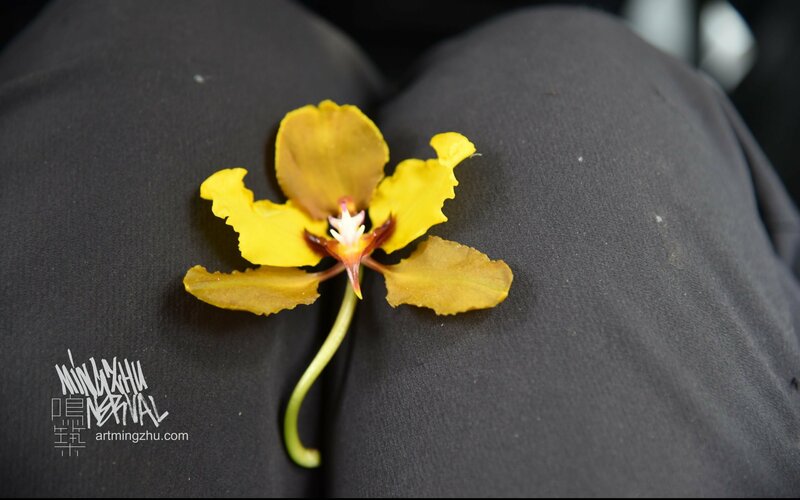 Cyrtochilum orchid in the wild! 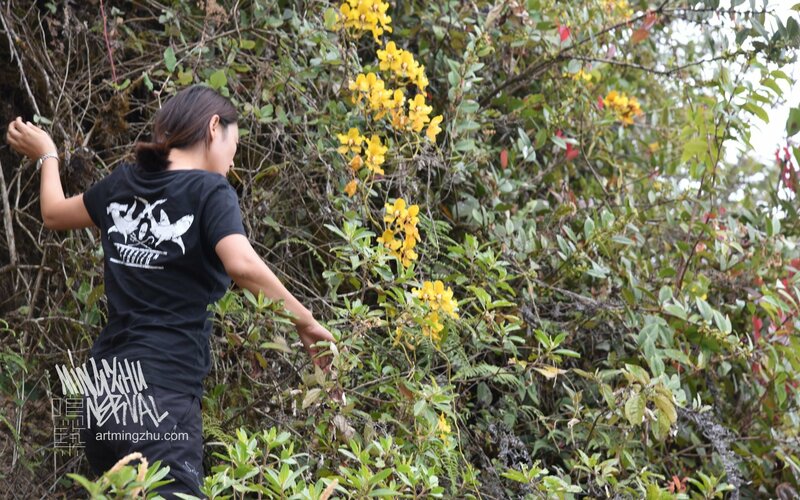 Hiking in Ecuador, suddenly above us a big Cyrtochilum macranthum (or Oncidium macranthum) in full bloom!….. Long (3m), slender, golden inflorescences with countless flowers! This is one of our favorite orchid, and we feel so lucky to see it in it natural home. …… Petals on a wet, black bough..
To see the Cyrtochilum macranthum orchid growing on our vertical gardens, please check MGM Cotai and Bloom projects.